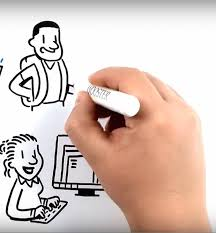 How would an Animated Explainer Video help your business? Animated explainer videos like those created by https://animationexplainers.com/ are designed to be short marketing videos that help to promote your business to your potential customers or perhaps share a piece of information with them that will help to cement you and your business as experts in your particular business sector. The videos tend to be around 2 minutes long and can be created in a variety of different ways, but they are all designed to be engaging. Help to create a stir on your social media. People nowadays would much rather watch a short explainer video that to read through a paragraph or two of text. Particularly if the videos are lively and engaging and by using characters in your video you can create a kind of emotional connection between your current and potential customers and the content that you are showing them. Keep people on your website and increase their dwell time browsing through your site. In contrast to a cartoon animation motion graphics doesn’t tend to use characters but will instead use colours, patterns and objects to help convey the given message. These videos tend to be used when a concept or item is being described and is particularly useful when trying to explain difficult concepts. They aren’t intended to create an emotional connection with the audience and are used primarily to impart knowledge. These are more basic in their style and use a whiteboard background to create the text and images on and the story plays out in front of the audience as the whiteboard builds up in more and more detail. Again, these tend to be used on more educational knowledge-based videos.